I've been known to say that poetry is a lot like cilantro. People really love. Or they pretty much don't want it around. Phrases like, "I don't get it" or "Poetry is just too confusing to me" or "I'm just not into it" are the ones I hear most often when I tell people that I teach poetry as a form of creative self care. Lots of people have the story about that one teacher in high school who made them read a whole bunch of poetry they didn't like. And I get it. Some poetry can be really tough to understand. Or it can take reading a poem out loud once or twice to get into the rhythm of it. Or you might have to keep looking until you find the poetry that speaks to you. But what might happen if you tried? Poetry is one of the lifelines I hold onto when life is getting a bit upside down. What do I mean? Poetry reminds me that I'm not alone. It gently pushes me to step outside the old stories and open my eyes to the wonder around me. It sometimes makes me a bit uncomfortable. It stitches my heart back together. It is a tiny lantern in moments of darkness. It is a lighthouse. It is home. April is National Poetry Month here in the US and over the next few Mondays, I want to share a few ideas to help you (yes, you) fall in love with poetry. Or fall even deeper in love if you're already hooked. Think about the way a child walks through the world with her eyes open wide, curious about the world around her. Everything is new. So many questions to ask and new worlds to explore. This is how a poet walks through the world. A poet asks, "Why?" In fact I think a poet asks, "WHY?" in all caps because poets really are the truth tellers of our time. Even when that "why?" might be whispered because the world is afraid to answer, they ask it anyway. And then they write down what they hear. Poets look at the big human topics life grief and love and loss and anger and rage and gorgeous wide joy. They put down the truth about what it means to not fit in and not be heard and not be seen in the world. Poets take what other writers spend pages explaining and say it in a few lines that can take your breath away. But we'll get to all this on another day. This week, I want you to just open up to being curious as you move through your day. Take a few minutes over the next few days and ask yourself WHY as you encounter your world. Look under things. Ask questions. Look closer. Describe what you find. You might even want to keep a notebook near you to write down your observations. Doing this will open up the poet heart inside you. Feel free to come back here and tell me what you find. 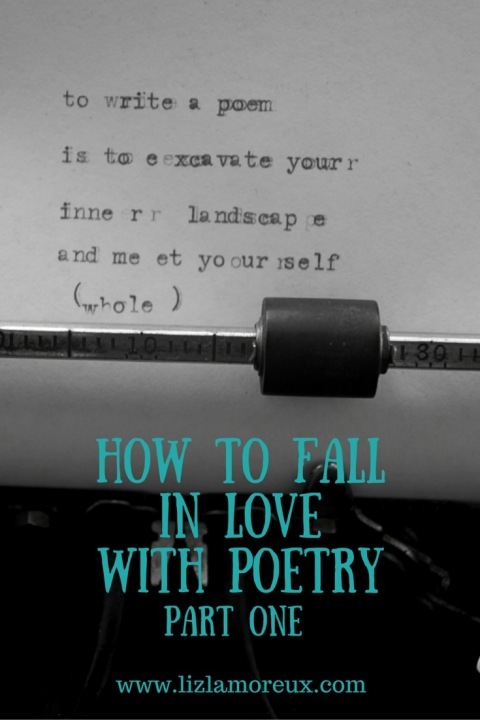 And if this idea of opening up to curiosity has you already excited and ready to put pen to the page, check out my ecourse Poem It Out, which dives deep into the world of poetry and shares juicy poems and prompts to inspire you to get the poems just waiting inside you out into the world.